Control all of your Yonomi Routines using just your voice and the power of Alexa. 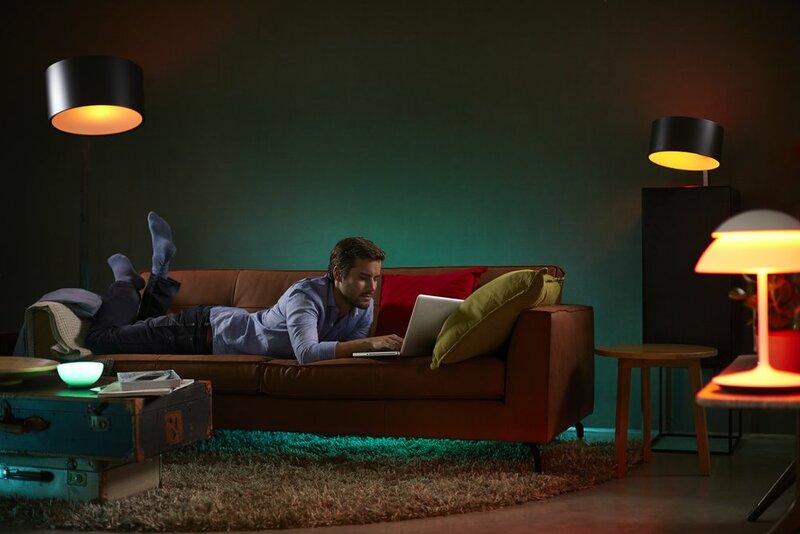 Automate all the lighting in your living room with the Philips Hue dimmable white starter kit. The Harmony Hub acts like a smart remote to control thousands of popular entertainment devices, including Apple TV, Roku, Xbox One, Playstation 4, TVs, stereos, and Blu-ray players. Turn any light or device with a plug and an on/off switch into a smart device with the HS105 Smart WiFi Plug Mini from TP-Link. Bring it all together with the Yonomi App! Create personalized smart home Routines for every room and every time of day. Just in time for the holidays, we're offering the chance to win a new smart home starter kit to transform your home experience. The winner of this giveaway will receive a Yonomi-friendly smart home package valued at over $275—including an Amazon Echo Dot, a Philips Hue White Starter Kit, a Logitech Harmony Hub, and a TP-Link HS105 smart plug. Please read the official rules below for details.